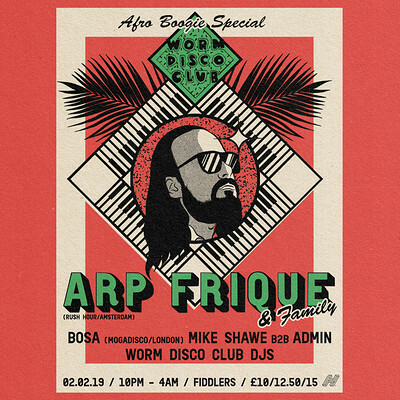 What's On / Bristol Gigs / Fiddlers / Worm Disco Club w/Arp Frique "Afro-Boogie Special"
Worm Disco Club w/Arp Frique "Afro-Boogie Special"
Til 4am! 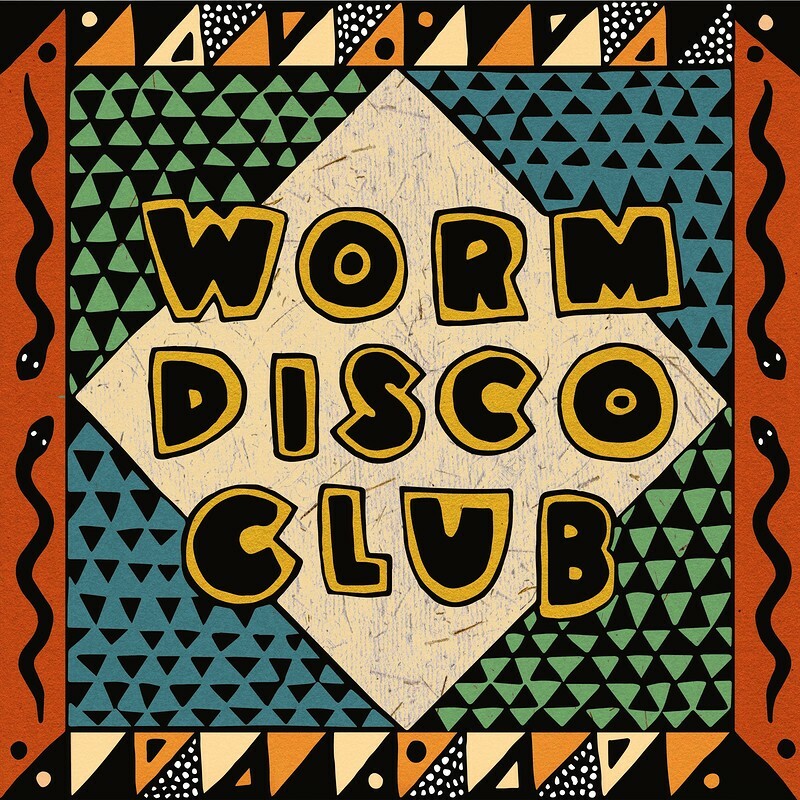 Afro-boogie special with headline band from Amsterdam, "Arp Frique & Family"
Worm Disco Club are very excited to present a special night at one of Bristols best venues. We are going to transform Fiddlers and lift you out of the deepest winter and away to a Tropical Island setting, for an evening of dancing and positive vibrations brought to you by a superb line up of diggers and selectors plus a guest headline band from Holland we have spent all of 2018 trying to tie down. Lifted straight out of 1978 but transported to 2018, the music of Niels Nieuborg aka Arp Frique is a modern blend of influences and sounds that could only have been made now, but whose roots are undeniable. 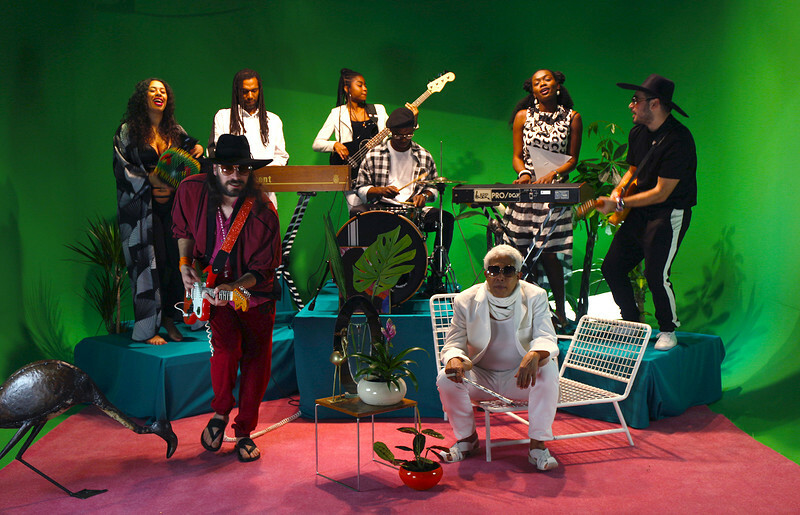 A multi-cultural hot pot of super tight, energetic and smiling players who bring life to the party, the Boogie & Disco, Synth madness and Afro-Carribean sounds created by Niels and his band are very colourful and extremely infectious. There's a clear reason why Antal at Rush Hour signed and released this music. It's because it makes you wanna dance (and sweat) !! Warming up for the band we will have a guest DJ from London in the form of DJ Bosa of the MogaDisco crew. Closing out the night with a 2hr set we are gonna be inviting two hugely experienced and capable Bristol based selectors to dig out their funkiest most bongo-tastic jams and groovers/movers. Those of you BS5 end will already be familiar with Mike from his regular sessions at The Plough Inn, and those of you who buy, DJ or enjoy modern disco edits or frequent The Love Inn might already be familiar with Adam aka ∆dmin. Check out this mix we did for Shambala Festival this past summer!